For a brief history of the Essex Automobile Company click here. Introduced in 1922, the Hudson-built low-priced Essex was a sales winner in its first two years on the market. During this period it was a third place seller behind Ford and Chevrolet. It not only had a lively four-cylinder engine, but was the first mass-produced car to offer closed body types in the popular price field. 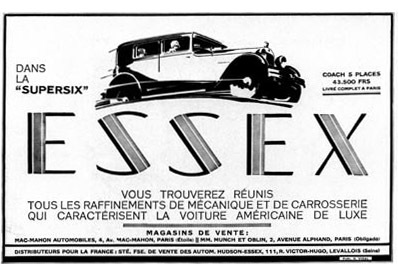 In 1924 Essex adopted a less reliable six, and its image and popularity suffered, and Hudson Motor Company went into a slide. 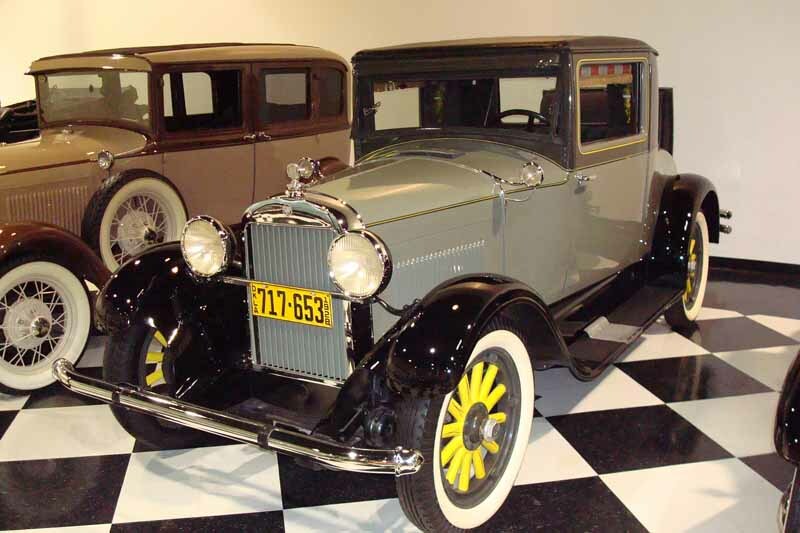 In 1932 one of Hudson’s founders, Roy D. Chapin, Sr., returned to the company and began a turn-around. A new beefed up six cylinder engine yielding 70 hp was developed and installed in a new 106-inch-wheelbase series dubbed the Terraplane. 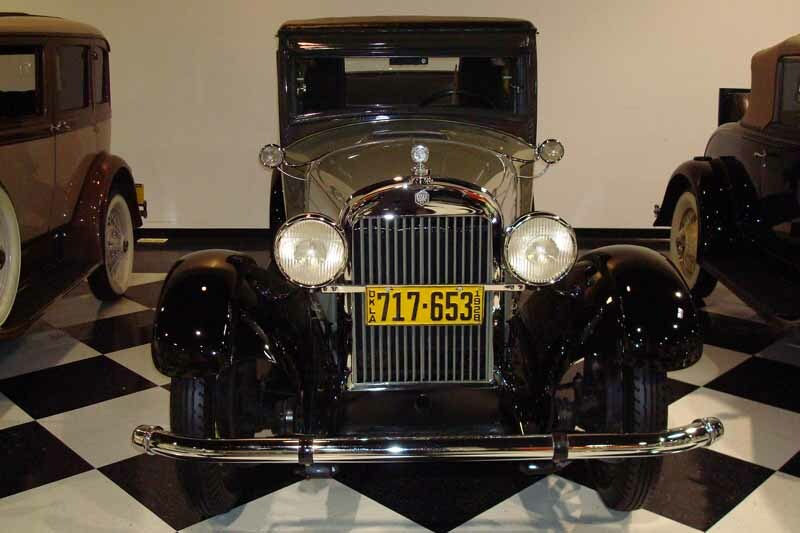 The ’32-‘33 Hudson Terraplane turned the company’s fortunes around. It was fast—up to 80 mph; it was economical – up to 25 mpg; and it was cheap – as little as $425.00.